Building an online home based might seem easy-peasy to some. Its probably why there is such mass appeal to being your own boss and creating your own schedule. Truth is reporting to yourself is very hard. Especially after years and years at a traditional job has taught you to request assistance with any decision you make on the job. To be dependent on their leadership to make the right calls. So that type of hard-wiring doesn’t go away just because you called yourself a home business entrepreneur. What most fail to realize is that you must create a strategic plan that allows you to show up for your business and get stuff done. Enter stage left: Daily Method of Operation Plan (DMO Plan)! As a Part-Time home business owner it’s important that you systematize your profit producing activities. A DMO Plan allows you to know exactly what you need to do to “keep the lights on” and to add new business. One of my virtual mentors shared with me her DMO that has severed her for over a decade. I want to share with you this type of DMO that has worked for me and as well as countless others. Don’t let the simplicity of the DMO Plan baffle you. Trust me it’s very complicated to create something so simple. And if it was complicated no one would do it. So we’re back at simple because simple works. 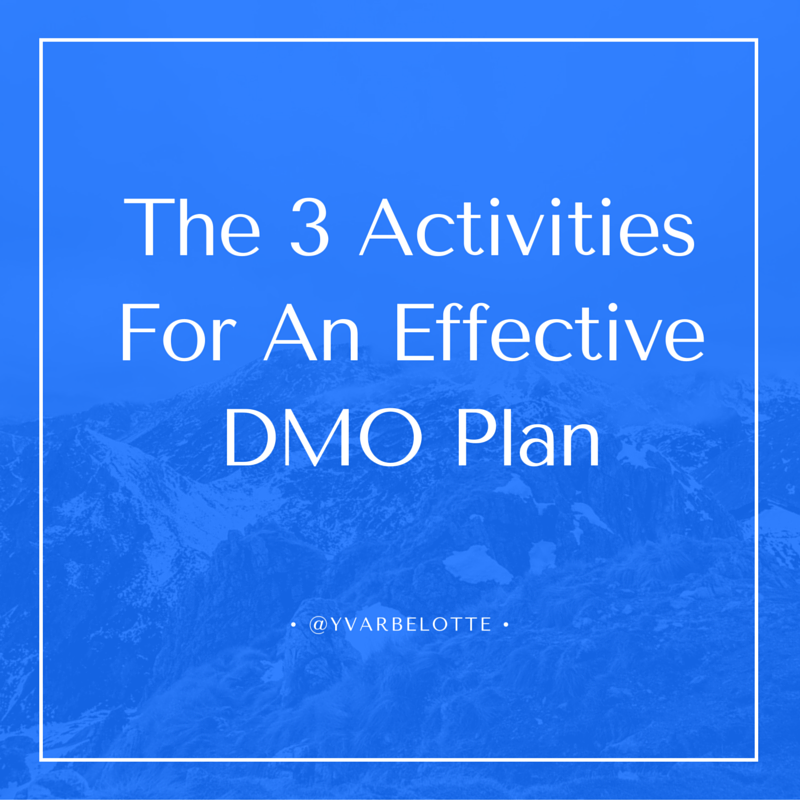 There are 3 components to an effective DMO Plan and they all start with communication. How you communicate with your audience displays your level of expertise and to be seen as a trusted advisor. Just like offline you want to come across confident in the same way you communicate online. Those finding your creative droplets online are searching for an answer and if you don’t express yourself in a cool cat manner, folks will pass right over your info not realizing it’s their saving grace. How are you going to get all the yummy info you have been learning from your big’ ole brain to the eyes and ears of your ideal avatar? Content creation is how! You’ve got to simplify your knowledge so it can be easily understood by your audience. It’s also like you are curating through a plethora of content (programs, training’s, webinars, courses, ebooks, etc.) and bringing them the best of the best info. This is how you add value to your audience. Doing this regularly will put you in an authority position in the marketplace with Google co-signing. Everyone knows you are a smarty pants but how will your ideal avatar know that you accessible and relate-able? Making connections that’s how! Although the word connection is over played in the online space, there is nothing that can top a 1 to 1 communication on any level. So you will find interested groups and circles online. Scope out a few folks that you can relate too. Weather that’s on parenthood, career, background or favorite sports team. What’s important is to build rapport. Notice I didn’t say pitch, bug or bother your new connection. Business talk should be off the table. No weird Internet marketing talk either. If you wouldn’t say it in real life don’t say it online. You should be making at least 10 connections per day. Again, No Bueno on the pitchfest but only focus on “get-to-know-them” conversations. How in the world will your audience know about your spunky personality and that weird story of that one time when you were at band camp? Email marketing that’s how! You better act like you know that Email is the #1 social media platform out there. People stay responding to email notifications on their phone. Email is a portal to a private space that is by invite only. Violate that and you get sent to the block party. Your goal with email is to share insightful thoughts, stories and experiences based on your content or what you are promoting. You could also do non-promotional emails that are motivational, reflective, audience love notes and of lessons learned. This is how you make a deep connection that solidifies the know, like and trust factor. You should email daily or have a set schedule so your audience knows when to look out for you in their inbox. As for you, in order for your DMO Plan to work you have to be very intentional. If you know me I’m all about being #OnPurpose. You simply have to decide that you will follow your DMO when you say you will. You may be trying to create home business success on a part-time schedule and that perfectly fine. But don’t short change yourself and the momentum you have already built by being lazy and not showing up one too many times. #AskMeHowIKnow! By doing your communication activities regularly you will be serving others while growing yourself and your business. Definitely communication and consistency are most important for success. You make excellent points in this post Yvar. I especially like how you describe making the best use of the email platform. Keep it honest — keep it genuine. Carol Makowski recently posted…Are You Ready For Summer Camp? You laid it all out here and kept it simple. Thank you Yvar! Rory Singh recently posted…Project Titan Review â Empower Network on STEROIDS? Great post Yvar! You have to focus on income producing activities that will give you results. So often people mistake activity for accomplishment. Yes, Lisa, people want brownie points for doing the activities but not making sure those activities yield results! Communication is key to gaining traction. Thanks for your great points. Absolutely Dr. J, communication is everything!! You totally nailed the communication aspect of business, Yvar! It should always be a part of your daily method of operation! Thank you so much! Same here Anthony but working on it daily!! I love this I am working very hard on communication and connecting to a deeper level than just my products. Thats great Rebecca! I know this is a struggle for most. Its essential to have a DMO it gets to a point yo kow your DO so well you dont even need to Look in your calendar…apart from when you have appointments in which case you need to ensure you are not missing those. Really valuable tips and insight Yvar for staying true to that daily method of operation. I know how important being consistent is as well. Most people will dabble and wonder why they are not seeing results. It is the daily consistent action that works. Thanks for sharing! Yes Lynn its very important!! Great tips Yvar, If you’re not consistent…you lose. You speak the truth Steven! !